November Club performing arts company brought their storytelling rabble to weave a tale about the residents of their village PLACE, their loves, their losses and their deepest secrets. 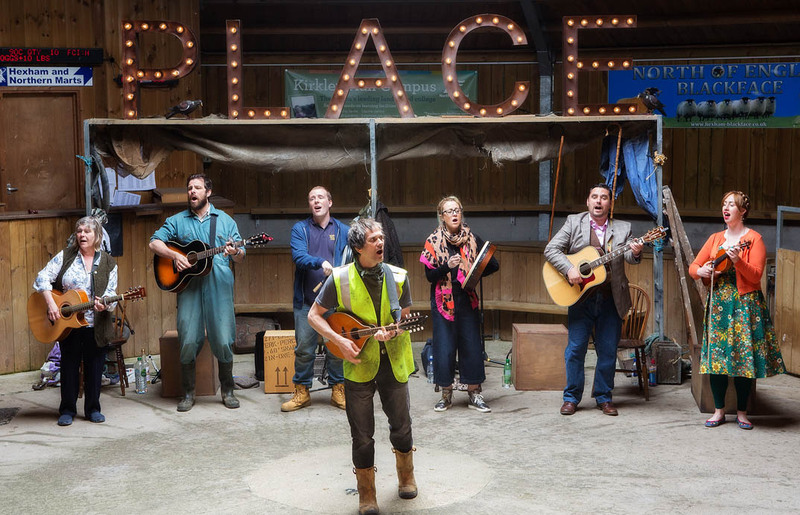 Inspired by folk and traditional music, this is an award-winning show about rural life by North East writer Laura Lindow with music by Katie Doherty and performed by a professional cast of 10 actors and musicians, with special appearances from local talent at each venue. The show sold out across the tour – thank you to the venues in Binchester, Evenwood, Stanhope, Crook, Mickleton and Barnard Castle for hosting the show and thank you to all the local talent for taking part. There WERE tears and there WAS dancing all across the Northern Heartlands area!